The weather couldn’t have been better in London for the delivery of a competition for UBS staff outside their office at Exchange Square. The event was organised through Volleyball England as part of an ongoing relationship which has seen UBS provide critical financial support for the GB Sitting Volleyball programme over recent years. 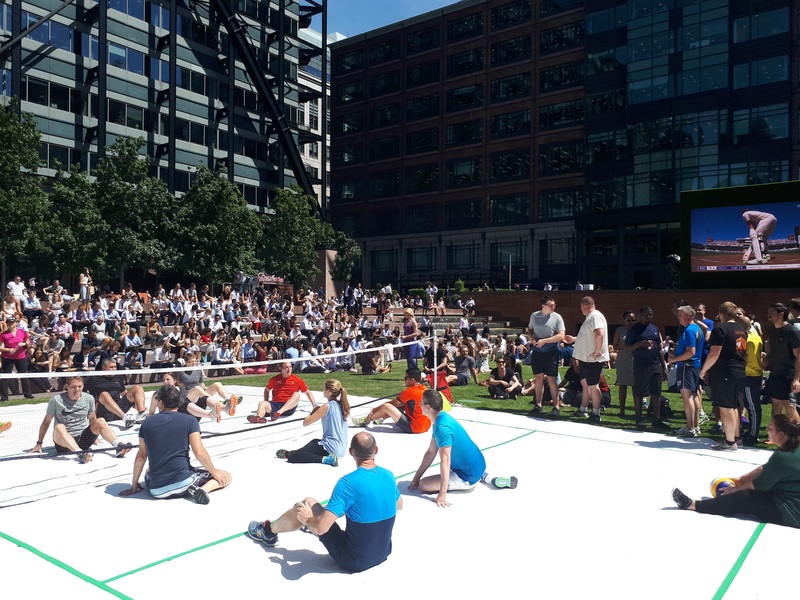 With 16 teams competing, the competition was as hot as the weather and as the area around the court filled up with passers by enjoying the sunshine and eating their lunch, the event culminated in a final between two teams who showed real quality. In the end it was a similar story with the reigning champions for the last 3 years once again retaining their title. For more information about how to organise a competition for your staff, please get in touch.